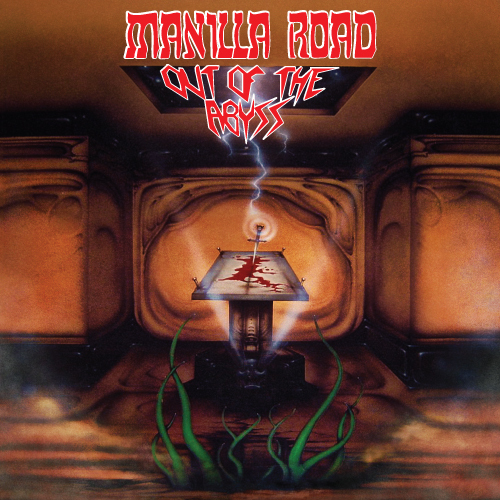 Shadow Kingdom Records Reissue of MANILLA ROAD’s ‘Out of the Abyss’. Shadow Kingdom Records’ reissue of Out of the Abyss, the seventh full-length release from Wichita, KS’ MANILLA ROAD is out today. Purchase the album at this location. Out of the Abyss will appeal to fans SLAYER, METALLICA, IRON MAIDEN, and MERCYFUL FATE. Ordering and release information for this and other Shadow Kingdom Records releases can be found at this location.